When and how did the U.S. Greens start? What were the early ìsalad daysî like, in terms of dreams, goals and challenges? What choices were made then that helped lead to where we are today? 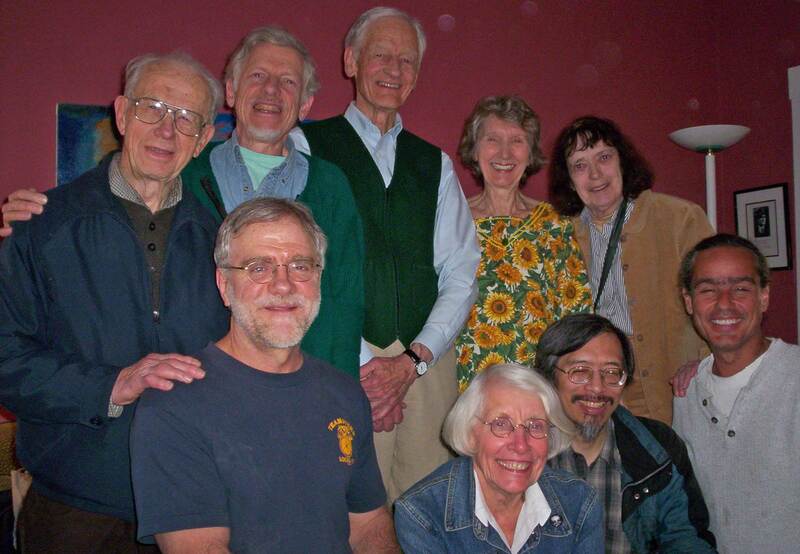 These questions and others brought 11 Greens who were active in the 1980s and early 1990s together for a weekend of reminiscing, recalling, and writing U.S. Green history. With no single place where this early history is chronicled, they hoped the product of their weekend would provide an enduring account of the origins of the Greens in the United States. They proceeded chronologically, year by year, from plans for the founding meeting of U.S. Greens in 1984, through the key meetings and events up to the summer of 1991. Ben Kjelshus and Charlene Spretnak talked of how the call for a Green founding meeting in the U.S. occurred at the First North American Bioregional Congress in Excelsior Springs, MO, May 1984. Spretnak and Howie Hawkins then recounted the founding meeting itself, when approximately 60 people met at Macalaster College in St. Paul, Minnesota and founded what later became known as the Green Com mit tees of Correspondance (GcoC). Dee Berry spoke of being the first Coordinator of the GcoC Clearinghouse in Kansas City, MO and its operations after it was first established in 1985, and how after serving for four years, she asked the Interregional Council (IC) to appoint someone new because she believed in rotation of power. The IC meetings that began in 1985 were also a prime discussion topic. These meetings brought together representatives from large regions of Green locals from across the country. It was at the IC meetings that decisions were made like where to locate the Kansas City Clearinghouse, and to launch the first national Green program processóthe Strategic Policy Approaches in Key Areas (SPAKA), which was spearheaded by John Rensenbrink and ran from 1988 to1990. by former California Green Coordinating Committee member Tom Bolema, the discussions were videotaped and will be used for video production and as the basis for written text. A website has been established at www.studygreens.org/history/us that will chronicle this product. On Sunday, independent filmmakers Julie Eisenberg and Babette Hogan from Polidoc Productions who are doing a documentary on the 2008 U.S. Green presidential nomination process and campaign called ìSeriously GREENî did interviews of attendees for the film. Green History weekend participants plan to continue their work on-line, interactively recounting their history, and are involving other Greens active in the 1980s and early 1990s. They plan to meet next in spring 2009 in Kansas City, with the focus on the early 1990s through the 1996 election and the founding of the Association of State Green Parties. This article is the first in a series exploring the history of the Green Party in the United States. Green History weekend participants. Front: Howie Hawkins (NY), Dee Berry (MO), Greg Jan (CA), Mike Feinstein (CA). Back: Ben Kjelshus (MO), Budd Dickinson (CA), John Rensenbrink (ME), Barbara Rodgers-Hendricks (FL), Betty Zisk (MA). Not pictured: Danny Moses (CA), Charles Spretnak (CA).